Look elegant and smart by wearing this kurta and palazzo set brought to you by Varanga. 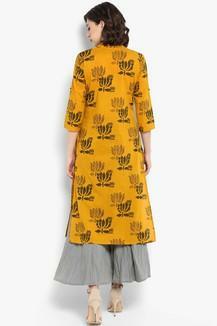 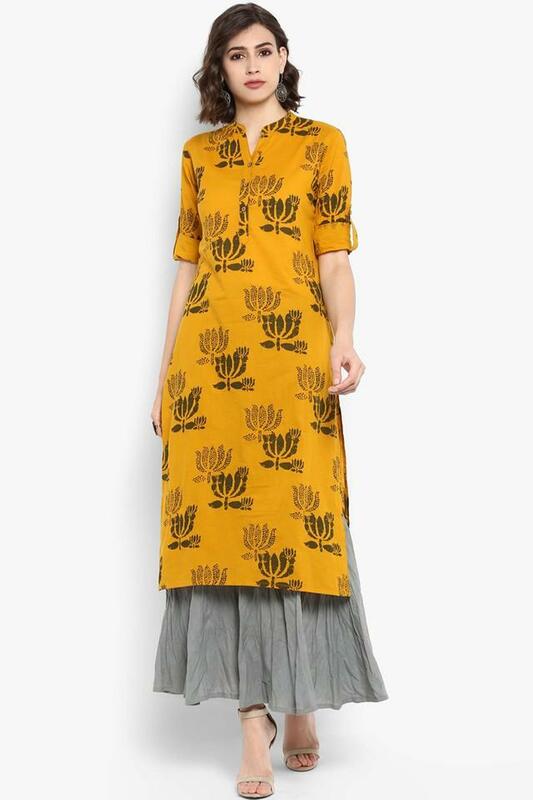 Featuring a printed pattern, it also comes with a mandarin neck that adds to its design. On the other hand, it has been tailored with a superior quality cotton fabric, which makes it easy to maintain. 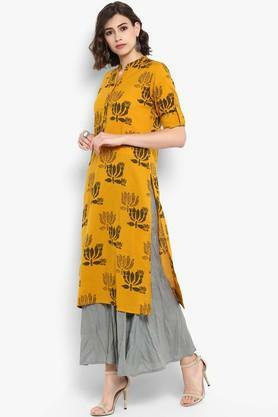 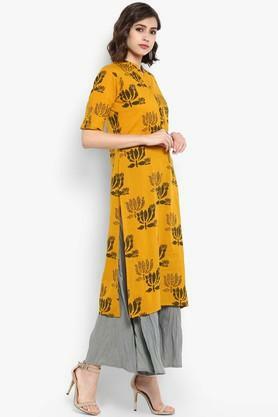 Upgrade your clothing collection by adding this kurta and palazzo set, which has been crafted with care. Ideal for a casual outing, it will go well with a pair of wedges and matching accessories.